I have had my serger for 20 years I'm sure... I use it in in fits and starts. This past week, I took a 3-hour class with 10 other serger owners to learn and practice how to do rolled hems with light fabric. We learned how to set our machines for a rolled hems. We tested flimsy, slinky fabrics using various stabilizers and techniques. I had no idea that I could sew with three threads rather than my normal four threads. I love the narrow seam that the serger makes with the three threads. We even changed the threads by tying on a new color and pulling it through the loopers. Pretty easy once you've had some help to do it the first time. I'm about to change the thread to black and I'll be making a few scarves for our guild's silent auction in two weeks. I don't use my serger as often as I did when I made clothes but I'd never get rid of it. 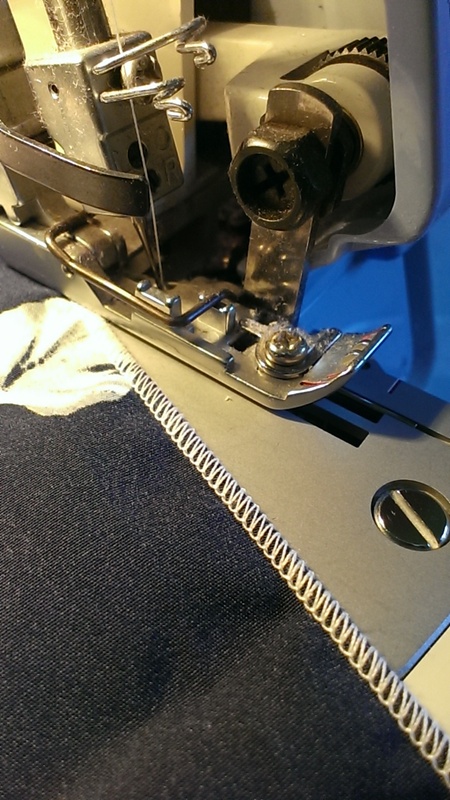 A serger is an awesome tool!